Quick Personal Story: I was racing down the sidewalk on my bright blue stingray. Panic flushed through my veins when I saw a tree root that cracked and raised the cement in front of me. I hit my brakes, but not in time. My skinny eight-year-old body sailed over the handle bars like a rag doll. I was scraped up with some deep gashes from head to toe. I cried and limped my way home just down the block. 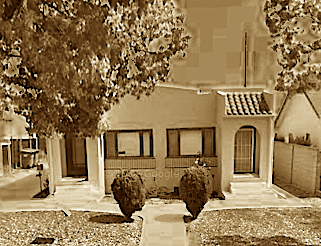 We lived in a “fixer upper” duplex that looked like a weathered dollhouse. My nanny Esther shoved a piece of pan dulce (sweet bread) into my mouth and hoisted me onto the washing machine with a red bottle of mercurochrome and rolls of gauze in hand. As the hot tears rolled down my face, the bread began to work its magic and allay my incessant trembling. Esther was wise. She knew I couldn’t watch her dress my seeping wounds and achieve any sense of calm. “Mira esa mariposa (check out that butterfly),” she redirected me to the large rectangular window that was the upper half of our laundry room door. As I looked outside and took a deep breath and fell into a trance. A voice that was not Esther’s whispered to me. “Look ahead. Imagine a few days from now. 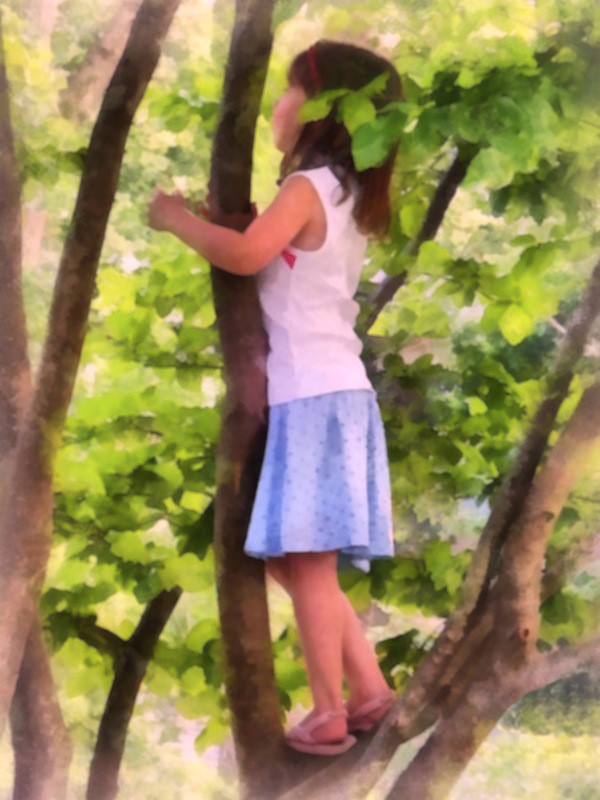 You’ll be laughing and playing with your sisters and climbing up your favorite fig tree.” I visualized the surreal merriment of Chinese jump rope and playing jacks with my friends, then peacefully lounging way up high on my sprawling tree. I lost connection with the stinging pain from the nasty gashes. “Lista Mija,” Esther’s translation of “You’re all set Baby” gently returned me to her comforting smile. The celestial voice and encouraging visions vanished like popping thought bubbles. I was patched up and ready to roll. I was astonished as I blinked my big brown eyes at Esther. She lifted me off the washing machine with a cuddly bear hug. My tenny shoes hit the ground… “Go Play!” I made a beeline for my BFF fig tree. Throughout my childhood, I listened for angels. And often when they visited, they gave me protection, healing, tools, and indescribable gems. And just as Pooh and the good Lord said, “I’ll always be with you.” Through happy, fearful, challenging, extraordinary, prayerful, and special times …they are. This entry was posted in Blogging, Childhood, Education, Entertainment, Family, Healing, Health, Kids, Nature, Prose, Spanish, Spiritual, Trees, Women and tagged BFF, Blog, Children, Chinese Jumprope, Dollhouse, Dreamy, family, Fig Tree, Fun, Healing, Light Riders, Little Girl, nanny, Pan Dulce, People, Spanish, Stingray, Susan Savad, Theeatenpath.com. Bookmark the permalink. I felt happy shivers when you mentioned the caring voices. I’ve only heard them distinctly twice in my life but it was enough to know we are not alone. BB2U and continued success in your path of light. An amazing story! God (Universe) is so great. Thank you Helen! I appreciate your efforts to be a great role model too! You brought to mind the sound of my tennys against the washing machine when my Tia sat me up there to fixed a scraped knee. 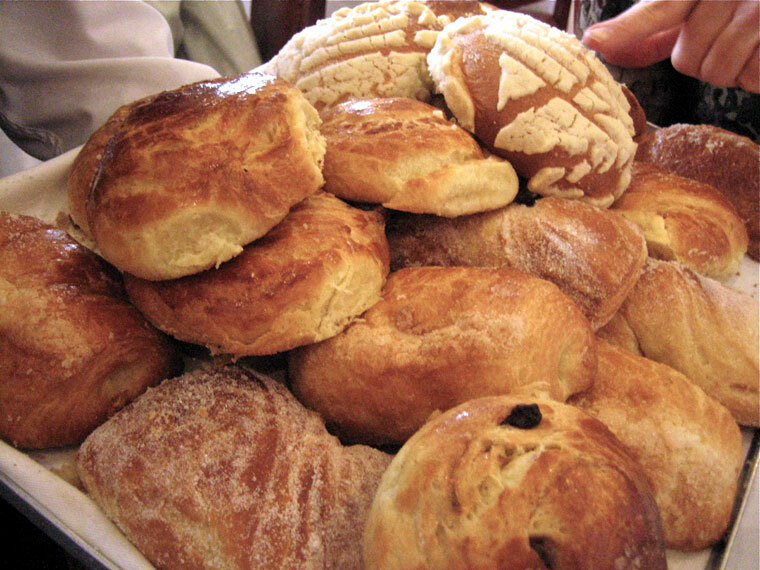 There’s nothing like pan dulce and hot chocolate at the kitchen table. Makes me homesick for those simpler days of childhood. I love that you knew exactly what I meant Marissa! Thank you for visiting! Ahhh, the simple days of childhood. My how quickly that time flew by. Great story. Beautifully written, Casandra. My mama always told me angels walked beside me and I (still) believe they walk beside all of us….if we believe. Thank you for sharing. Thank you Lisa! You’re right, we never outgrow them xoxo. Beautiful story and congrats on being published! Thank you Sujeiry! If anyone can appreciate the getting published labor of love it is you! No pun intended, hee,hee! I also love your fantastic book cover! I did not see a contact link. If you would be interested in reviewing Oh Holy Night: The Peace of 1914, I would be glad to send you the pdf. This is a reflection on the Christmas truce, an inspiring event that can point others to Christ. It is on amazon and b and n. Contact link on my website; I don’t use the sign -in address here much.